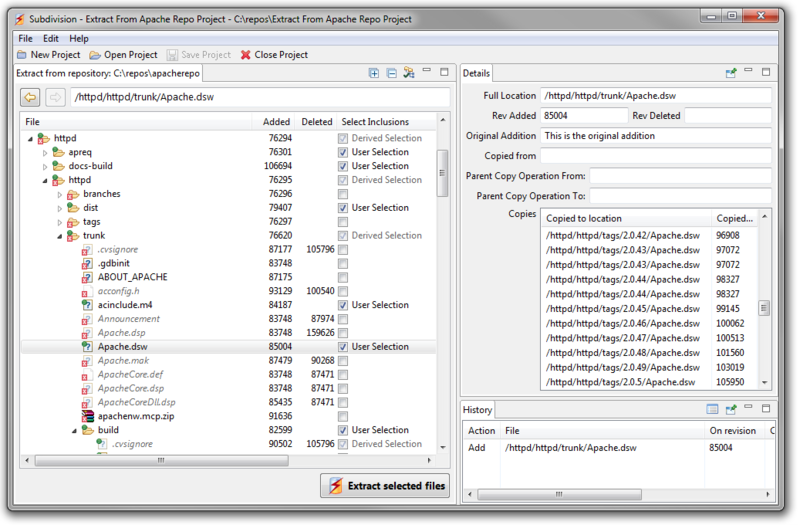 Subdivision can be used to extract files and folders from an svn repository. Once the selected files have been chosen for extraction, Subdivision will produce a new repository containing only the selected files files and folders. This is very useful in the case where you may want to share a small subset of your repository with another party. It can also be used to extract a project into a brand new repository and continue the development only on the new repository. 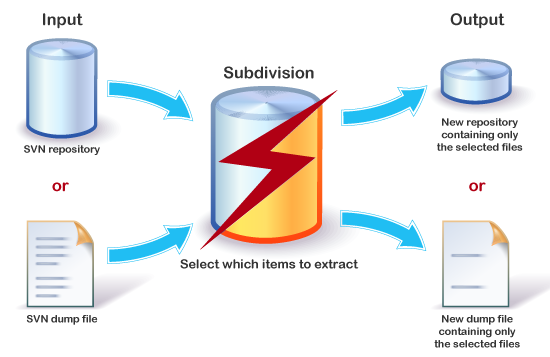 Subdivision uses sophisticated algorithms to analyze the svn repository’s data structure so that any required files will be identified and added to the selection for extraction. Subdivision is flexible enough to work directly off the svn server files or from a dump file, and can generate either an svn repository or a dump files as output. And of course the operation is extremely safe as the original repository is never modified by Subdivision.